Is Idris Elba Too Old to Play James Bond? Even before last year's Spectre came out, there were rumors that movie would be Daniel Craig's last as 007. While it still hasn't been confirmed that the actor is officially out, there have been a slew of rumors swirling around a few potential candidates for James Bond 25, one of whom being Idris Elba. 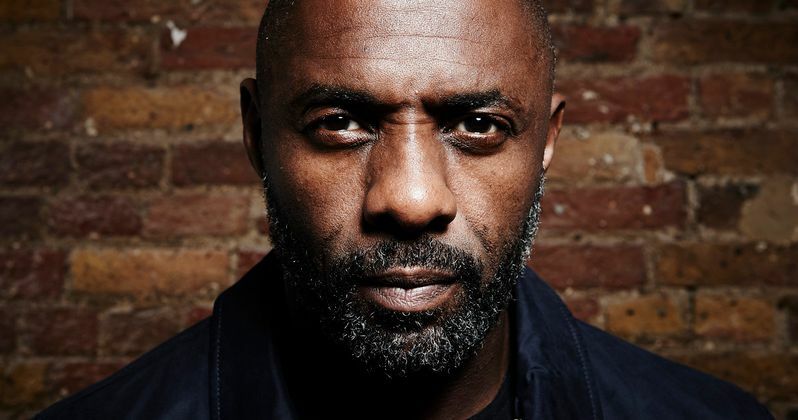 In fact, there has been a sizable grass-roots movement that has built up around his potential casting, but during a new interview earlier today, Idris Elba revealed that he has never entered into official talks for the role, while dropping another bombshell. The talk of Idris Elba becoming the next James Bond first surfaced back in late 2014, when leaked emails revealed that then-Sony Pictures president Amy Pascal wanted the actor to play the next 007. Since then, several fans have been clamoring for this casting, but, during a new interview with Good Morning America today (via YouTube), the actor told host Michael Strahan that he thinks he may be too old for this iconic role. Here's what the 43-year-old actor had to say below. "It is the wildest rumor in the world. I keep saying if it were to happen it would be the will of a nation because there hasn't been any talks between me and the studio about any of that. But everywhere I go, people have been wanting that to happen. But if I'm really honest man, I think I'm too old for that. Running around in cars and ladies and martinis, who wants to do that? Sounds terrible." While there is certainly plenty of fans who don't think Idris Elba is too old to play 007 at 43 years old, he is older than other candidates who have emerge for the role. Tom Hiddleston, who was at one point rumored to be in official talks for the role, is 35 years old, while another contender, Jamie Bell, is even younger at just 30 years old. It's worth noting that, when Daniel Craig took on the role back in 2005, he was 37 years of age. As of now, there isn't much we know about the new James Bond movie, except that Daniel Craig presumably isn't returning to star, and it was also confirmed that Sam Mendes will not be directing. There have also been rumors that Tom Hiddleston's new girlfriend, recording artist Taylor Swift, may be secretly trying to land a Bond Girl role, while Kristen Stewart has recently said that she wants to see a female James Bond. While we wait for more details on James Bond 25, take a look at Idris Elba's video interview with Good Morning America's Michael Strahan below, with the James Bond talk coming at the 1:36 mark. James Bond 25 Begins Secretly Shooting in Norway? James Bond 25 Will Have 007 Driving an Electric Car?